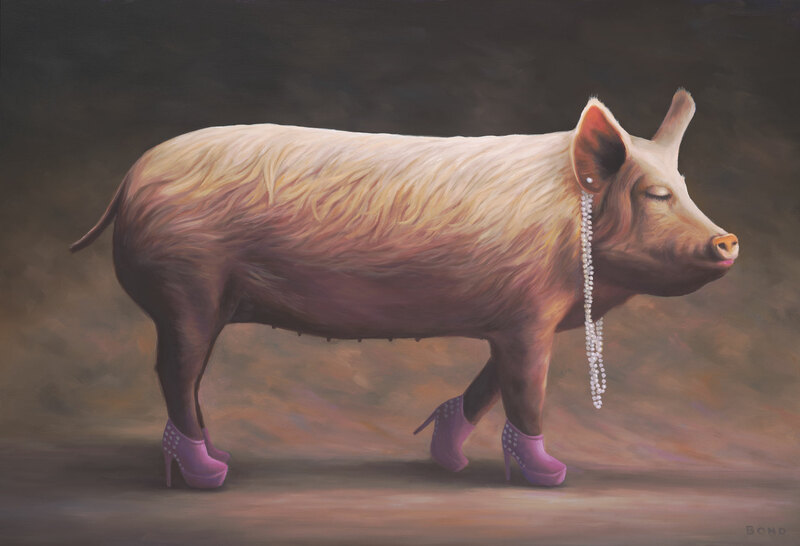 Whenever I see a pig it looks to be standing in high heels. But regardless of how cute they can be, there is the stereotypical symbolism of unattractiveness associated with them. So these two ideas merged in this painting that became a commentary on our perceptions of what beauty is – both in the outer vs inner sense. I believe that we are born knowing our inherent loveliness. It’s only when we encounter society’s preconceived and dictated notions of beauty that it becomes questioned. What if throughout our lives we were told only how gorgeous we are? More piglet beauty pageants, I say!